All the main attractions of the city are within easy reach of this 3 star hotel; a short walk to the King's Road, the Chelsea Flower Show, and the Hard Rock Caf while access to all of London is a piece of cake through Victoria Rail, Tube and Coach Station and the Gatwick Express Terminal at Victoria. The hotel has 40 en suite bedrooms; all rooms are equipped with TV, direct dial telephone, fridge and free tea- coffee making facilities. We can organize, upon request, airport drop-off service and City Tour of London tickets. We serve Continental as well as Full English breakfast at the hotel. 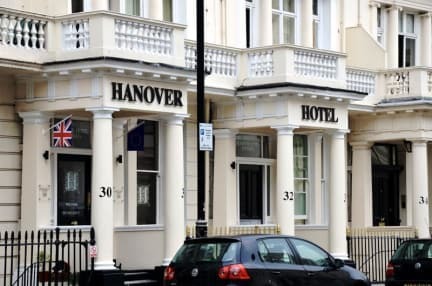 The Hanover Hotel is just a 5 minutes walk to the River Thames with its fantastic views and river-boat restaurants, also nearby you can find the famous traditional English Pubs serving delicious pub hot meals. 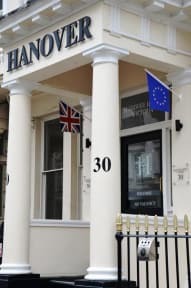 Hanover Hotel can book upon request tickets for the local theaters: Victoria Palace Theatre and The Apollo Theatre, also within walking distance. For those who like shopping, Hanover Hotel is near Victoria Street with its new Shopping Centre complex plus Army & Navy Department Stores. Place was a little pricey for the size of he room in my opinion. Area was quiet and lovely. This was a great hotel for Oktoberfest - clean and very close to the tents. Everything was within walking distance and we would definitely come back! The hotel is in a great location if you want to visit Buckingham Palace, Wicked at the Apollo Victoria, Hamilton at the Victoria Palace. However, the room was very dirty. There was a giant black mould spot on the ceiling that stretched down the wall by the bed. The bathroom was covered with dust around the plumbing, and had black residue throughout. All the stainless steel accessories were rust stained and dirty. Guests around us screamed constantly and could be heard through the walls.